Leaf Hoppers, Acanalonia sp, have started becoming common out in the garden. 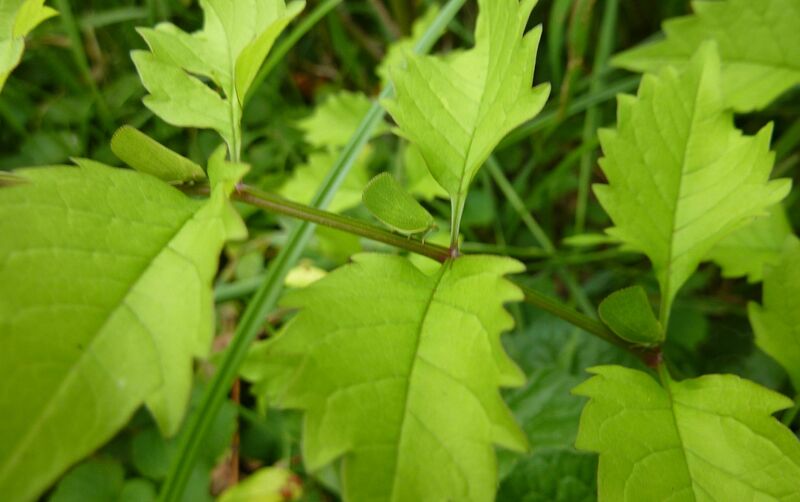 They mimic the leaves or seed pods to assorted plants, often they'll arrange themselves with the leaves as seen above. To avoid predation they have this wonderful habit of side stepping left or right so they are out of view of the predator. This habit can be exploited nicely to get them to line up nicely for a photo, but I didn't have to use that here. The Grape Vine Beetle, Pelidnota punctata, is also out at this time of year. 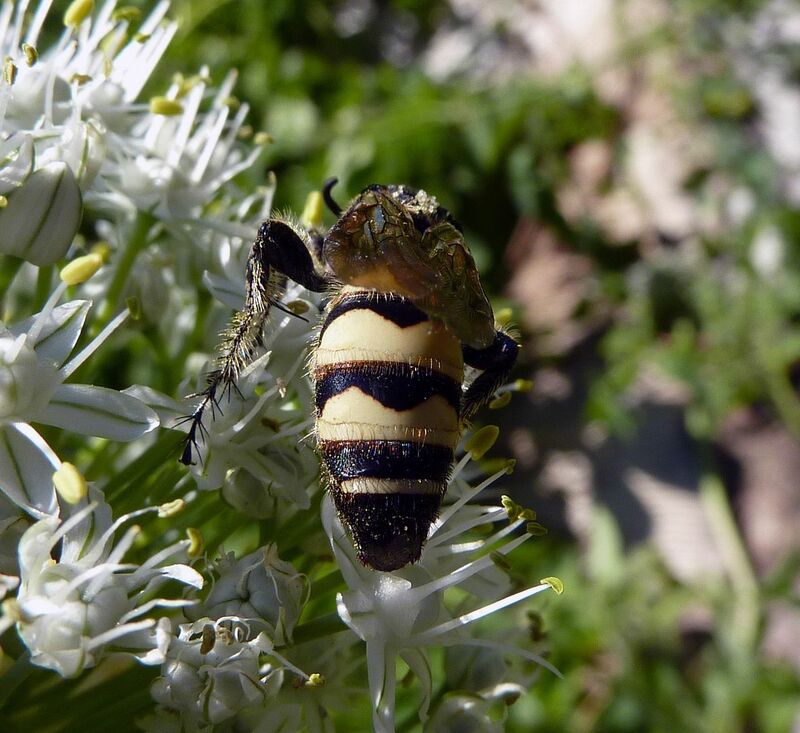 Though less common than the leaf hopper, be sure to look for them on any grape vine. 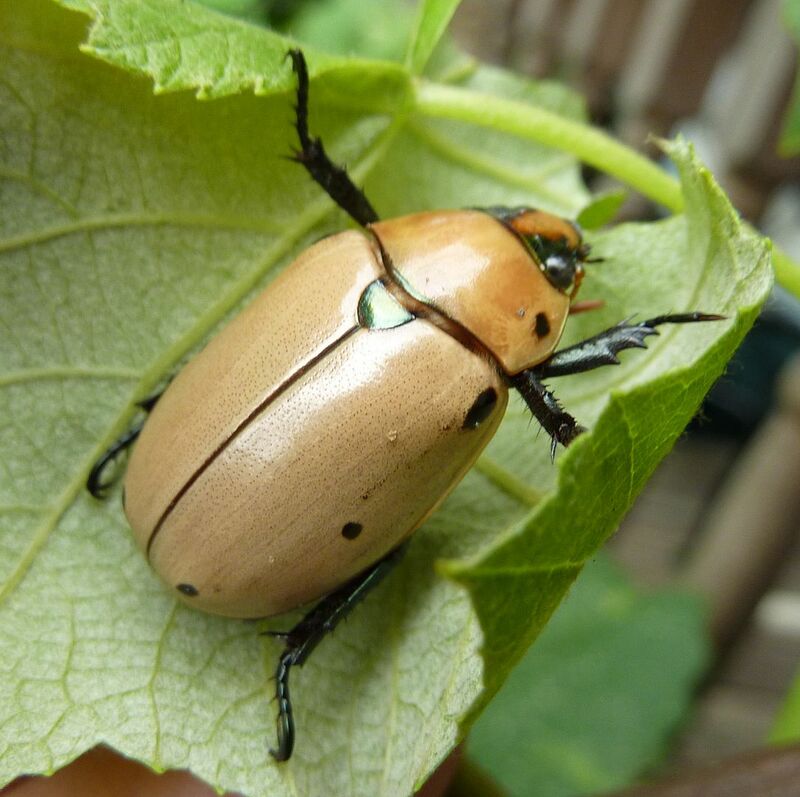 I've only ever found this beetle once each year, they eat a leaf or two off the grape vine and then they seem to wonder off, not what I'd call a pest that needs worrying about. They are nice sized beetles and also go by the name Spotted June Beetle/Bug. The grubs feed on dead wood and are beneficial in the decaying process. Another one to look out for are the Scoliid Wasps. In this case Campsomeris plumipes. These and other Scoliid wasps tend to be more colorful or with uncommon stripe patterns than the usual yellow jackets, hornets, and paper wasps. 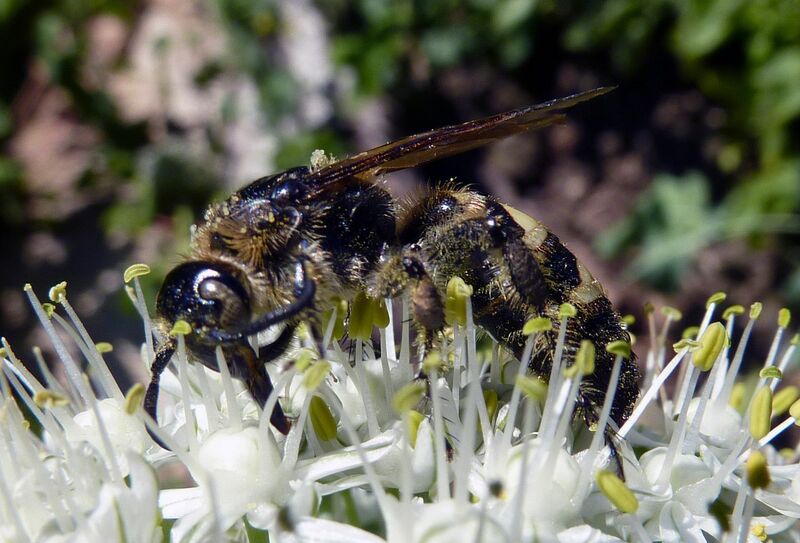 Along with being proficient pollinators, they typically hunt beetle grubs that are otherwise causing damage to your lawn. The issue here though is this massive wasp has to burrow into the ground just to find their pray item. This is discouraging to home owners despite their benefit. 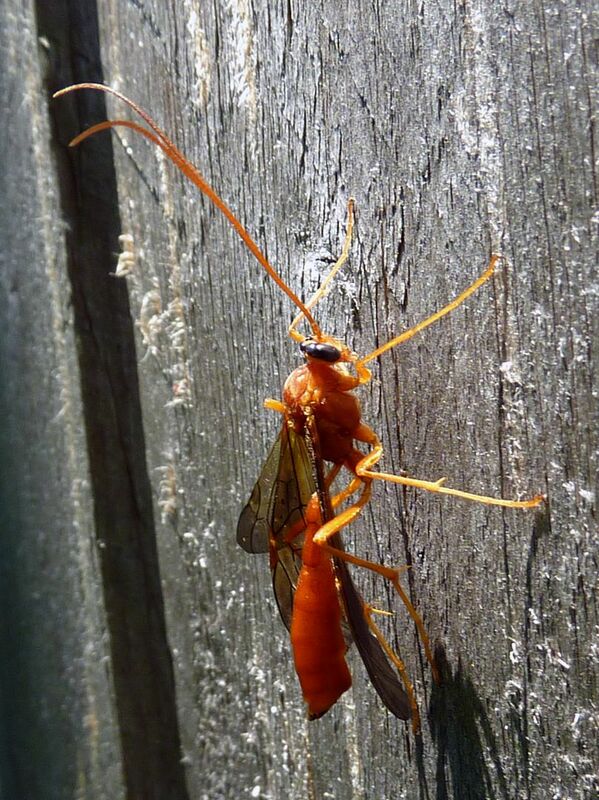 Ichneumon wasps are more to the point, and go about injecting pray items or paralyzing spiders far more cleanly. Within this group there is a lot of variety and some truly showy colored individuals. They can get quite big as well but most species are small. Each species is very select in what they consider a host though.